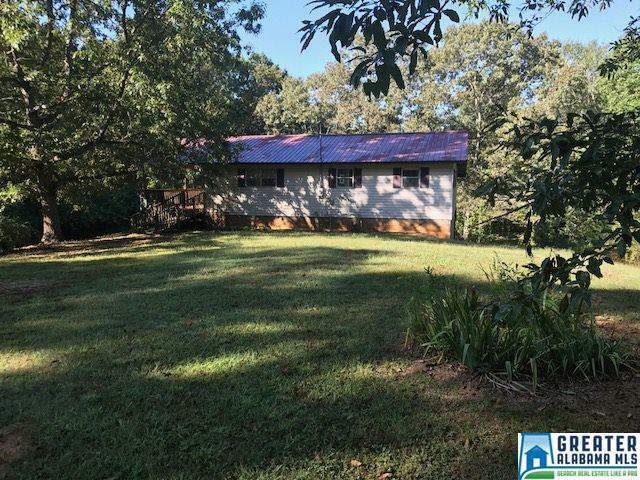 Lake Home Near Hwy 48 Marina, Lake Wedowee, AL 3 Bedroom, 2 bath lake home located on 2.84Â± Acres with 328Â± feet of water frontage. Home features include an open floor plan, roomy kitchen with island, plenty of cabinets & appliances, sun room overlooking the lake, and large bedroom and bath with walk-in shower on main level. Downstairs has another family room, a kitchenette, a full bath, and a bunk room that could split into 2 bedrooms. Lots of potential to customize this house for your family&apos;s needs. Outside there is a covered front porch wrapping around to the back deck on the lake side, covered patio, handicap ramp, and storage building. You enter the property on a long, graveled driveway. This place is all about convenience, so close to the new marina and ready for your lake enjoyment. Driving Directions: From Downtown Wedowee, Take Hwy 48 West. Once You Cross The Hwy 48 Bridge, Turn Left Just Past Co Rd 4807. First House On The Right, Sign Is Up.